The Skrulls have landed and they're impersonating everybody out here! Can you really be 100% sure that your teacher is your actual teacher or is she an extraterrestrial shapeshifter disguised as your teacher? *Gasp! * Is that really your mom and dad or are they aliens too? It's almost impossible to tell but you must get to the bottom of this mystery. If Skrulls can disguise themselves as anyone and everyone then you must disguise yourself too! The Kree Empire can put a stop to a pesky Skrull takeover with a couple proton blasts so camouflaging yourself as a Kree is wise. Why not become one of the most elite members of the Kree Starforce? Why not become the one and only, Carol Danvers? 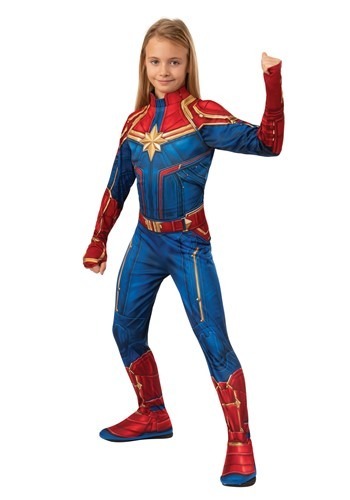 The officially licensed Captain Marvel Classic Costume makes girls look exactly like the infamous first Avenger. 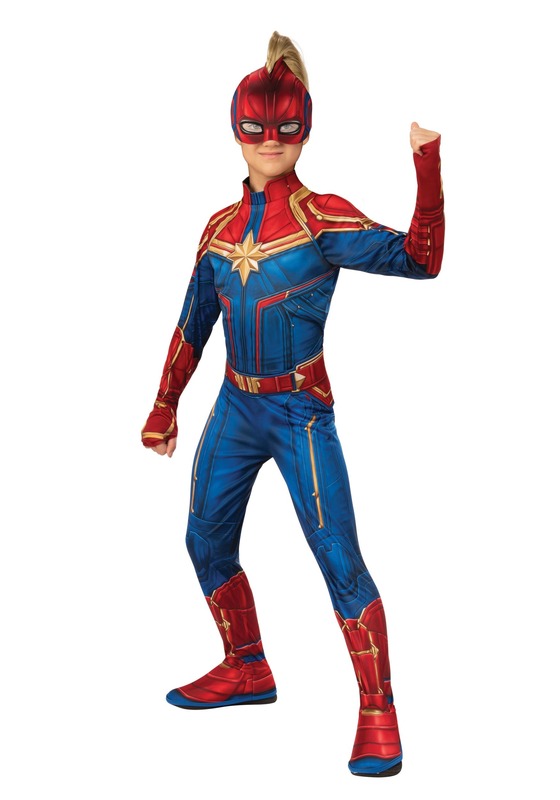 Designed after the cinematic jumpsuit, this costume gives children a superhero refashioning fit for the movie screen. The comfortable and soft jumpsuit is modeled after the blue, red, and gold ensemble Carol wears once she's realized her full potential. The costume also comes with a mask for a complete head-to-toe look. A few more accessories will make you go higher, further, and faster. Pick up the Mohawk headpiece and photon power FX glove for a more powerful final look.